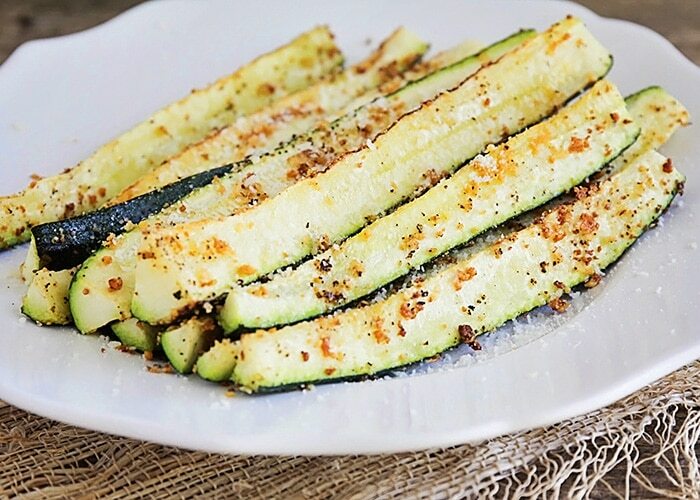 This baked parmesan zucchini is simple, healthy, and delicious! Are you a fan of zucchini? It’s one of my favorite vegetables. 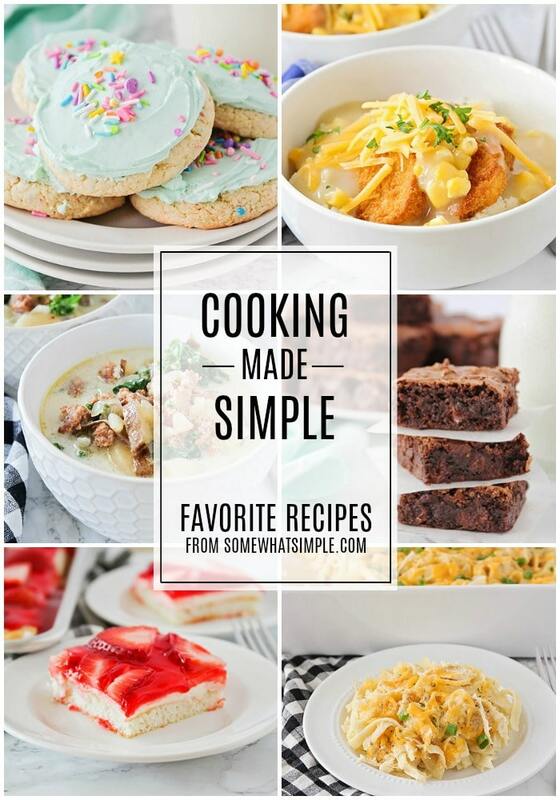 I love that it’s so versatile, easy to cook, and tastes great! We enjoy it all year round, but I especially love it during the summer, when it’s bountiful and inexpensive. 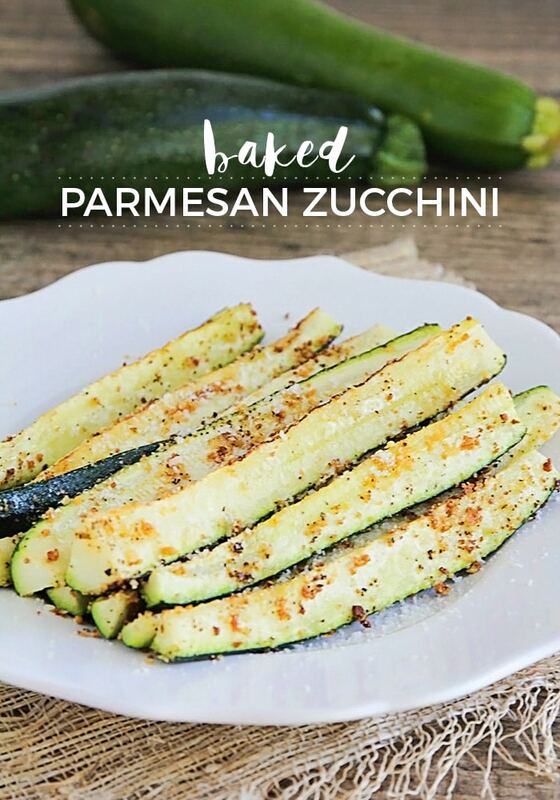 This baked parmesan zucchini is the newest way I’ve tried cooking it, and it is definitely a new favorite! It’s delicious and simple to make, and I love the crunch from the parmesan cheese. 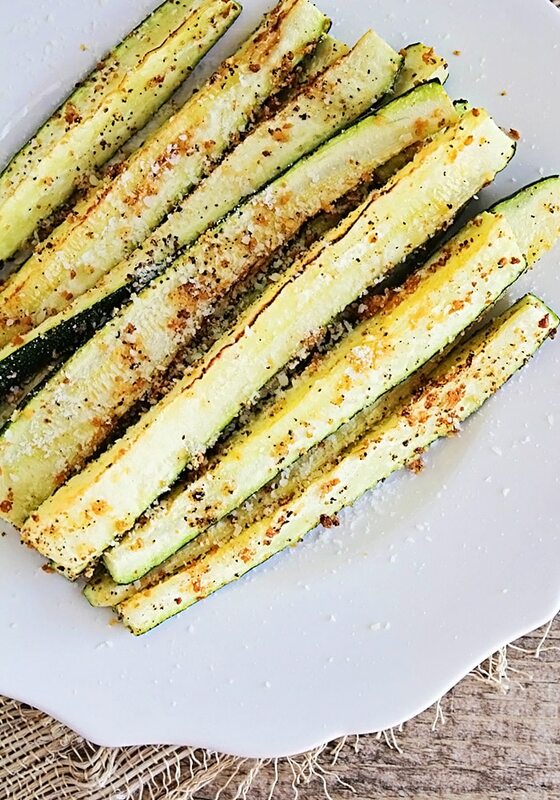 Making this delicious side dish is as easy as cutting your zucchini into wedges, drizzling with olive oil, and sprinkling with parmesan and spices, then baking it in the oven. Easy peasy! 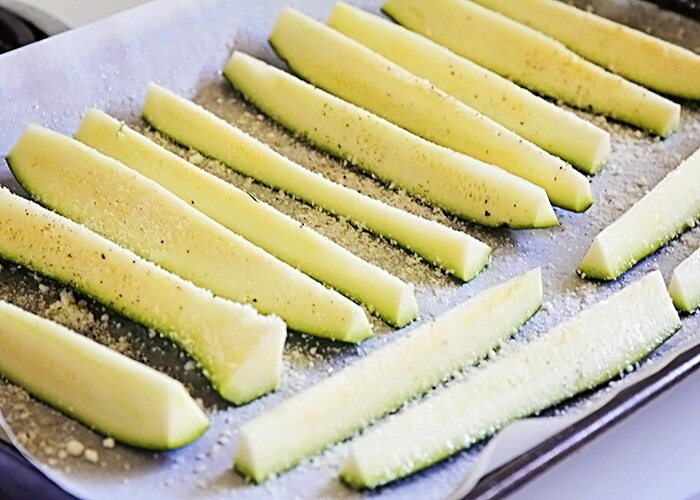 By cutting the zucchini into smaller wedges (I cut eight wedges per zucchini), the wedges stay crisp after being cooked in the oven. They get a nice crunch from the parmesan cheese, but they stay tender on the inside. I think they’d be delicious dipped in marinara sauce for a delicious side dish. 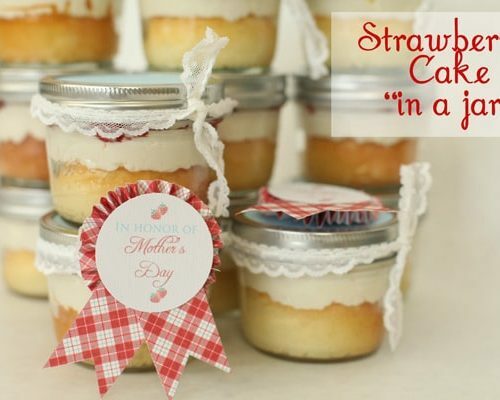 It would also be a perfect healthier substitute for french fries alongside all your burgers this summer! Slice the ends off each zucchini. Cut each zucchini into 8 spears. 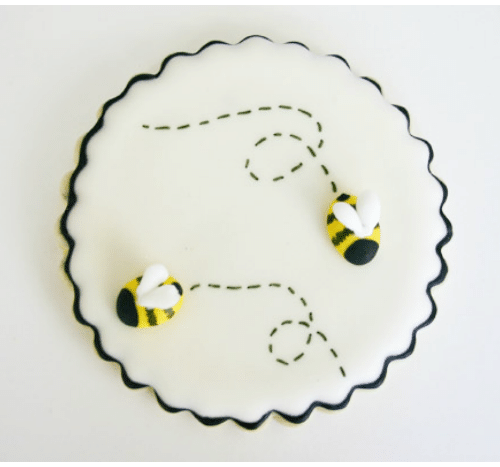 Spread the spears out on a baking sheet lined with foil or parchment paper. Drizzle the olive oil over the zucchini. Sprinkle with parmesan, garlic powder, and salt and pepper. Bake 10-12 minutes, then broil for 2-3 minutes, or until golden. Serve immediately. 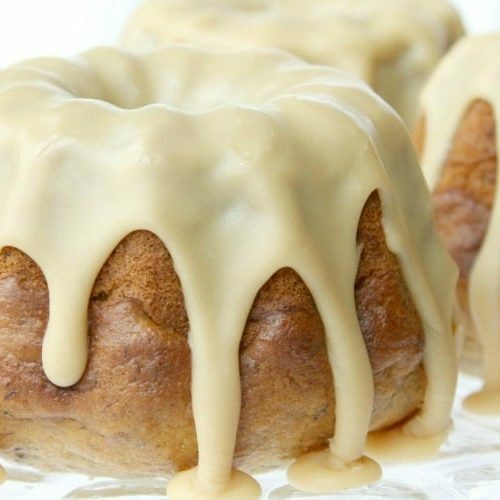 For more delicious zucchini recipes, be sure to check out my favorite chocolate zucchini cake, this delicious cheesy zucchini rice, and this fantastic zucchini bread french toast. Yum!